Even in the middle of hard times, Indian information technology services exporters are discarding a number of small clients to reduce costs and focus more on strategic customers. Small clients, usually not bringing in more than a few hundred thousand dollars at most in a year in revenues — typically called 'tail accounts'— are the ones facing the axe as Indian IT companies look to cut cost of servicing accounts and channeling sales hands to customers with potential to spend more. "We are knocking off many of our tail accounts which do not have a value proposition," TK Kurien, chief executive of Wipro, India's third-largest software exporter, told ET in a recent interview. "That's a conscious decision to improve the quality of our revenues." Over the past few quarters, WiproBSE -1.07 % has dumped some 40 clients, foregoing revenues of about $8 million (Rs 45 crore) and bringing down tail accounts to 45. California-based iGateBSE 0.00 % said it decided not to renew contracts with about 70 clients who were either not contributing to its margins or were not a strategic fit. While many big companies like Wipro, MindTree, iGate and GeometricBSE -1.43 % are open about their decision, others such as InfosysBSE -0.37 % and HCL TechnologiesBSE 1.47 % are reluctant to discuss it even though analysts said most of them are resorting to 'tailtrimming'. "It doesn't make sense to keep accounts that do not generate margins or give any incremental business. From an operational point of view, it helps the sales team focus on key accounts and get more business out of them," said Rikesh Parikh, V-P of Mumbai-based brokerage Motilal OswalBSE 1.67 % Securities. The reluctance to entertain clients who are not adding bulk or value comes at a time when the $100-billion Indian IT-BPO industry is facing slow growth as clients in recession hit-Europe and post crisis US delay decisions on technology spending. Rising wages and higher visa-related expenses are also putting pressure on profitability for these firms. "It brings down the overall cost of services and improves margins," said Sid Pai, who heads the Indian arm of outsourcing advisory TPI. 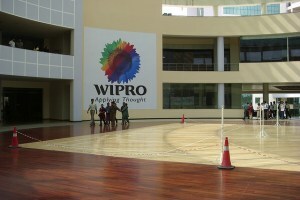 In the short term, analysts said, tail-trimming could squeeze out an additional 150-200 basis points in expansion at the operating-profit level for large companies such as Wipro, Infosys and Tata Consultancy ServicesBSE 0.78 %. "We have always been a margin-centric company. We believe fewer clients and deeper relationships will help us deliver more value to each engagement," said Phaneesh Murthy, CEO of iGate, whose base of active clients declined from 344 to 293 during the last year. According to Manu M Parpia, chief executive and managing director at Mumbai based Geometric, "cutting out the long tail" is a critical part of its growth initiative. Compared to about 16% growth in the last financial year, its IT services exports are forecast to grow at only about 11% in the year to March. Infosys, the country's second-largest IT firm, expects to grow only at 5% during the same period. Bangalore-based MindTreeBSE 0.99 % too is rationalising its long tail of customers as it seeks larger clients. "The process of managing the long tail of customers is ongoing and will continue," observed chief executiveKrishnakumar Natarajan, adding that the midsized company is now focusing on winning larger technology services contracts and deeper specialisation in select verticals.